SOPREMA’s SURE-STICK membranes are SBS-modified bitumen membranes specifically formulated for self-adhered application. These membranes have a special permanent film surfacing designed to aid in the application of a SOPREMA self-adhered cap sheet or a SOPREMA heat welded cap sheet. This surface also eliminates the need for interply priming, saving material and labor costs. The SURE-STICK line of products is manufactured with a superior, high tack self-adhesive blend on the underside to give these membranes the best initial tack in the industry. Safety is always a principal concern in roofing. When the use of a roofing torch or hot asphalt is a concern, or there are special circumstances that require near odorless application, the SURE-STICK product line is the answer. 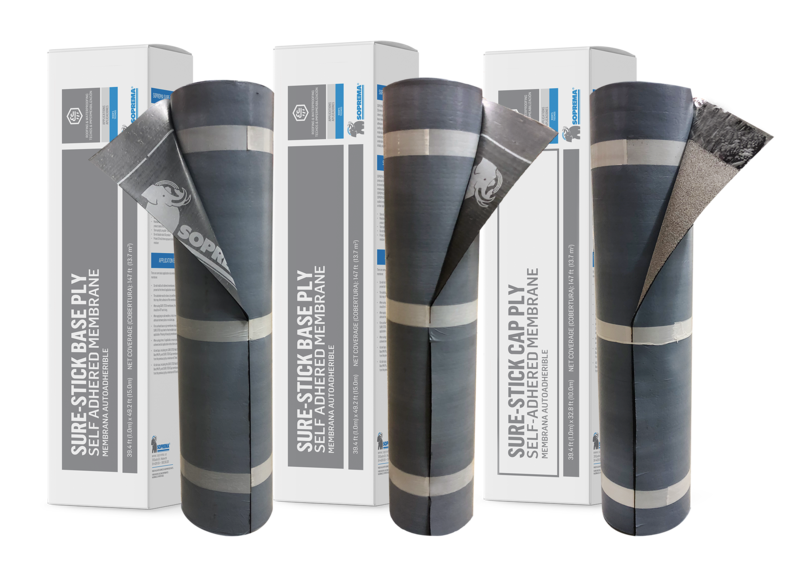 The SURE-STICK system provides a multi-ply, redundant SBS roofing system with all of the advantages of self-adhered application including quick and easy application, no open flames or odor, and immediate bonding. All of these provide a hassle-free, time and labor saving application. We discussed all things SURE-STICK with Matt Davis, Product Manager – SBS Roofing Systems. Check out the interview here!